Awesome, yeah that's what I wanted to know. My current floor jack can't fit under that are at all, it's about the exact height of the bottom of the panels on the car. I needed something to fit under the front for when I go racing so I can change wheels. Having never been able to get a jack under the front I hadn't really been able to figure out where to jack from. How much did it cost you at wally-world? Like Chem just said I can't figure out where the hell the PDF is telling me to jack from at the front of the car. brentil, in post #30 of this thread, I have a couple of pics of how I jacked up the front of the car. I know it was a tight fit to get the jack under the axle, and one of the reasons I went with the "knuckle" as the location for the jack was because the jack actually fit under it (you can see the knuckle is higher than the frame member it attaches to). From what I remember, I slid the jack under the car from the side, forward of the tire, probably to use the additional clearance afforded by the wheel well. I did jack the car up one side at a time, not at a center point that would lift both front tires at the same time. I've come to the conclusion I need a new jack. Mine is a 5-1/2" minimum clearance when I see the one Chem was using is a 5" clearance and I'm betting yours is too. The 5-1/2" jack will NOT fit under the front of the car at all. What brand jack do you have, where'd you get it, and how much was it? This jack (which I still laugh at since is a "Mr. Goodwrench" ) was less than $20 as I recall. I want to say $17 and some change. I bought this one specifically because it claimed a 5" clearance. As you and I know, 5 1/2" is too high. don't recall the brand, so you'll have to wait until I get home for that. But I bought it as part of set, the jack, 2 jack stands, X-type lug wrench and two worthless wheel chucks for $38.00 or so at Walmart. If I remember to check when I get home, I'll check what brand it is and let you know. Thanks for the input, this will help greatly. I was having a lot of issues getting the front wheels up high enough safely to do the tire changes from other points. When I'm at the track some places are not paved too so it would have been impossible to jack the car up in some areas due to the jack being to high. Hopefully they have what I need in stock. I see you are jacking on the suspension pivot points - the instructions that came with the pdf file sketch said not to do this. On the front I jacked at either end of the crossbeam (had to drive up on a 2 x 6) and placed my stand on the two hole member as shown on your pics. However there is a suggested point just behind this on the side rail, but you need a puck or something so you don't crunch the body side panel. I hope someone from GM is lurking and can give us the straight scoop. Drive up ramps will probably work, but you can't take the tires off! OK for oil changes. Ok, I bought the wallymart jack Chem has for $15. I love the handle, this is the perfect track day jack. I've used my ramps to change my oil on my base Solstice 3+ times with 0 issues. I see you are jacking on the suspension pivot points - the instructions that came with the pdf file sketch said not to do this. hmm, I don't see a mention of that specifically in the pdf. It says "use only the identified lift points", but of course from the illustration it is basically impossible to determine what exactly the designated lift points actually are. Can you show me/explain to me where it says not to use the suspension pivot points? The lifting instructions identify front jack points where the front suspension linkages are attached to the frame cross member. There was room for my jack to fit in between the air-dam and front tire, into and under the lift point. Again, be careful not to lift by the suspension linkage. My interpretation of the lifting instructions is that the front lifting point is located between the front frame slot and front wheel on an auxiliary frame pad that has two circles punched in it. This auxiliary frame appears connected to the main frame rail as it moves in from the front frame slot, in to the engine/front suspension mounting. Again, jacking on one jack point will lift both front wheels off the ground allowing you to place 2 jack stands under the front lifting points. The jack slides in easily from the rear and I placed it under one of the suspension linkage frames and jacked up the rear end. 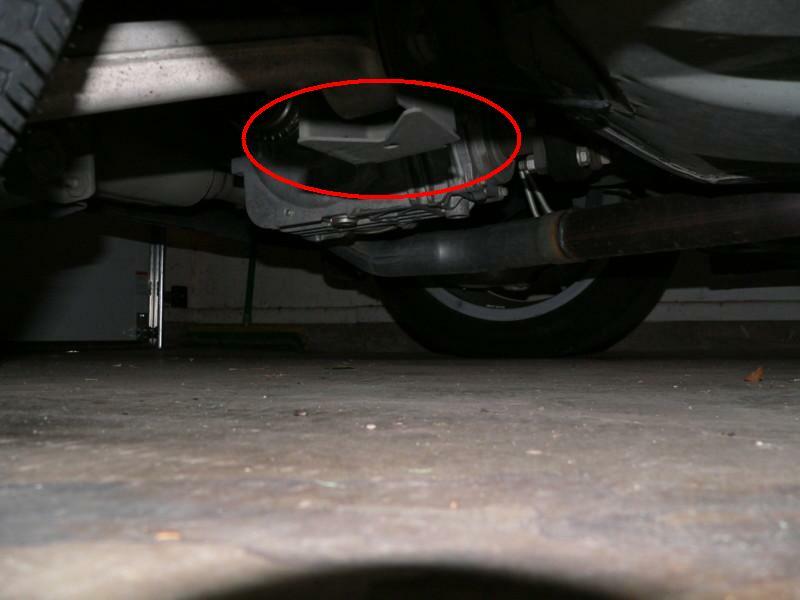 Be careful to not place the jack under the suspension linkage as you can lift the linkage while lifting the car. Jacking at one side will lift the rear of the car so both wheels are off the ground. You can then place jack stands under both rear lifting points using a single jack. Okay, I see what you mean, and yes, you don't want to put the jack on the suspension linkage, quite possibly stressing the suspension. I put the jack under the knuckle where the suspension linkage ties to the frame member, so I was lifting the car by the frame and joint together where the pivot point attaches to frame, not ON the suspension arm or the joint itself. As you can see in the bold portion of the post you quoted, I was pretty much trying to follow the instructions, by lifting at the designated location where the suspension linkage ties into the frame. I definitely wanted to lift the car using some identifiable part of the frame to avoid damaging anything else on the car. Thanks for making sure everyone understands the proper placement of the jack. For myself, I don't think the GM instructions are that easy for the layman to understand. 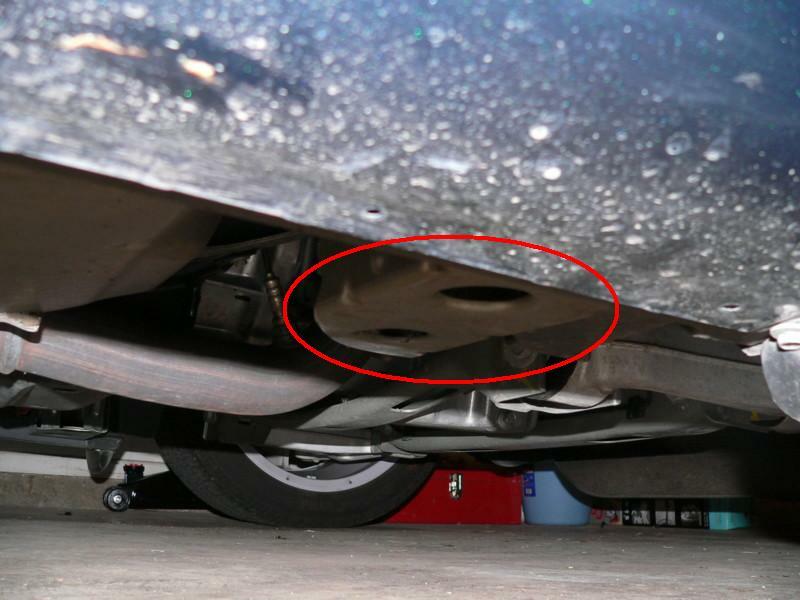 Herein lies the uncertainty and confusion (IMO), the document GM has issued (that we have in pdf form) does not accurately depict what the real underside of my car looks like. I still contend that the rectangular areas behind and inside the line of the front wheels are the recommended lifting points (see pic 1 below) and can safely be used as jacking points (as I did) or as locations to place jack stands (as dengel did). The rear jacking points, seem to be more clear (see pic 2) and can be used for jack stand placement as well, having used either the rear lifting points or the differential to jack the back. I'm going to try and make an appointment with my Service Manager and pick his brain on the issue as well. Perhaps with the car on a drive-on lift, we can come to some conclusions. When/if I get out to holler at him (25 mile drive ), I will take the camera!